If you thought your job was monotonous, spare a thought to the humble escalator. Yes, I know it’s hard to feel empathy for an everyday object that lacks sentience, but hear me out. These revolving carousels of metal and rubber exist simply to move people between floors. They go up and down, and that’s about it. There’s no variety in their day-to-day lives. They silently do their job, unnoticed and unappreciated. A bit like me, really. KONE, a Finnish manufacturer of lifts and escalators, wants to tell the story of these unsung urban heroes. To do this, it has partnered with creative agency Hasan and Partners to create a VR film where you can ride an escalator. It sounds dull, but like those weird Norwegian Netflix films where you ride a train for ten hours, it’s actually entrancing. The escalator narrates the clip with a running commentary of what it’s doing. It’ll mention when someone jumps on, or when it reduces speed to save energy. This is accompanied with an ambient electronic backing track that feels appropriate for such a chilled-out experience. It’s so delightfully weird and eerie, and I can’t quite pull myself away. It almost feels like if the 2009 film Moon was about escalators. This isn’t the first time KONE used tech to get us to think about escalators. 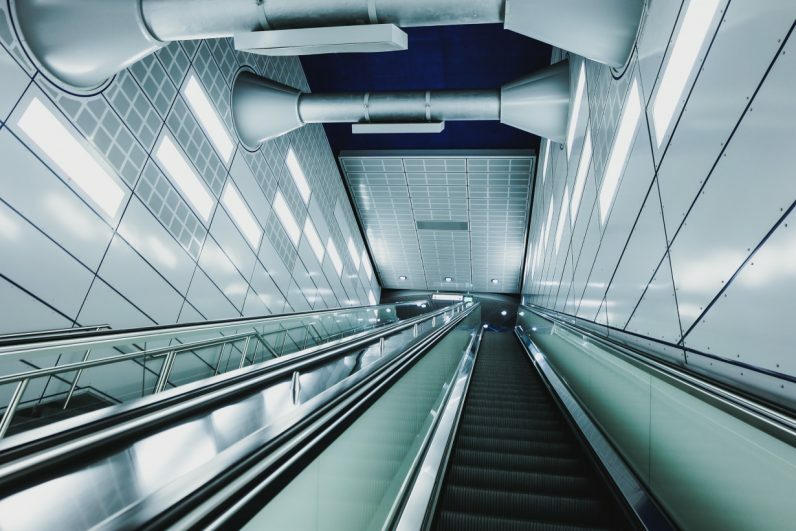 Earlier this year, the company launched a twitter feed, @JustAnEscalator, which offered up-to-the-minute updates from an unspecified elevator in London. I have no vertical vibrations in my gearbox at the moment. Has KONE endowed me with a new appreciation for escalators? Hell no. I barely thought about them before, and I won’t think about them now (unless when they’re broken down, and then I get super pissed off because I hate climbing stairs, but I digress). That said, I do have a grudging respect for what KONE and Hasan and Partners have accomplished here. It’s proven that with a bit of creativity, you can make anything — absolutely anything — interesting.